Experience Easter like never before. The ancient story still has life and power today. Because of the empty tomb we can live life in the light. 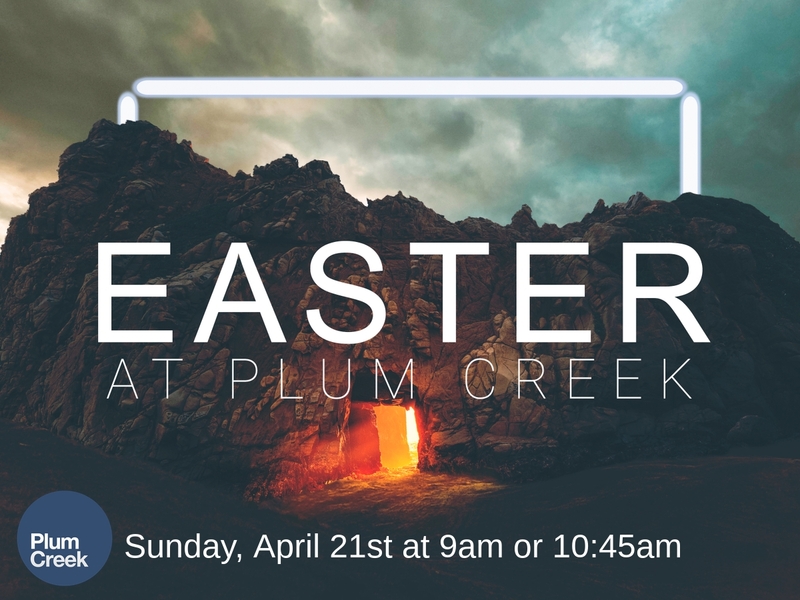 This Easter you can expect a worship service with upbeat music and an engaging and powerful teaching time. As soon as you enter our parking lot you will be greeted by a Parking Team Member. And when you enter our building our Guest Service team will be there to greet you as well. They will point you in the right direction, whether thats to drop kids off in Kids Town, get a fresh and hot cup of coffee or to help find a seat to get ready for the service. In all our Easter service will last a little over an hour. We encourage you to come as you are, no need to worry about what your wearing, just come with what makes you feel comfortable. To learn more about what to expect at Plum Creek, click here. This Easter we have a fun, high-energy, exciting and memorable service for your kids as well. There is identical programming for kids birth through 5th grade at both the 9am and 10:45am services. We are all about safety with our kids so we have a secure check-in system. You can get started on the process and let us know you are coming pre-registering. Students are invited to join one of our Sunday services at 9am or 10:45am with their family. They will be able to check-in through social media to be entered in for a chance to win free prizes.